Stakeholder Confidence in Radioactive Waste Management. An Annotated Glossary of Key Terms. 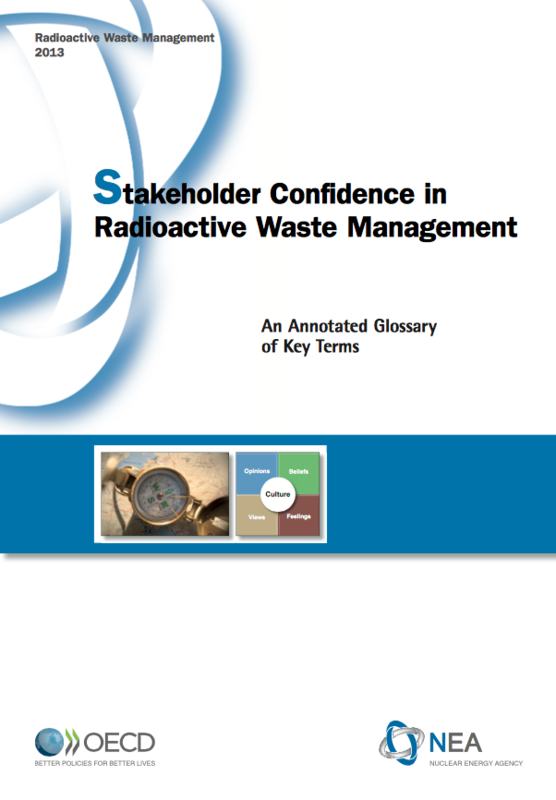 The publication “Stakeholder confidence in radioactive waste management. An Annotated Glossary of Key Terms” (2013) is a synthesis reference guide of the concepts and principles of the OECD/Nuclear Energy Agency Forum on Stakeholder Confidence in the area of radioactive waste management, based on a review of all the publications of the Forum on Stakeholder Confidence across the past decade to identify and examine key concepts, evolution of their understanding and provide references.